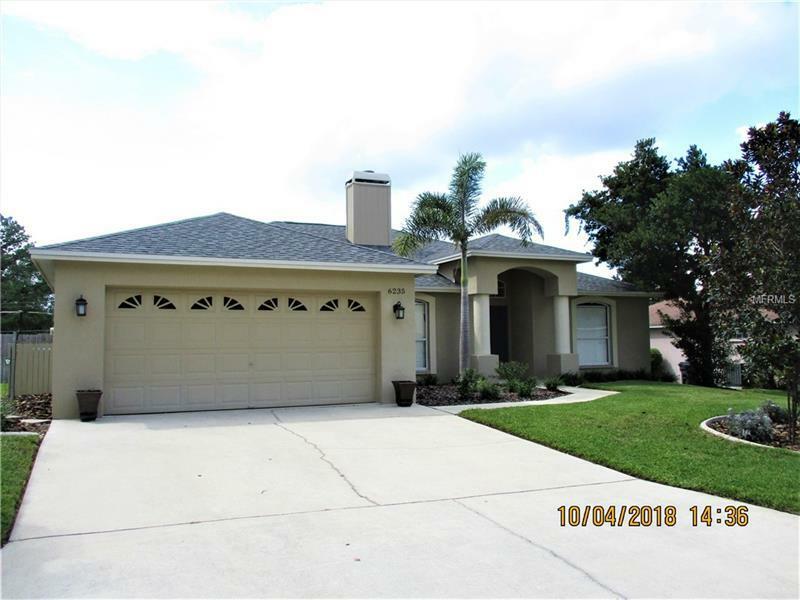 You will love this LIKE NEW, IMMACULATE and MOVE-IN READY 3/2 split bedroom home in the conveniently located SOUTH LAKELAND community of HIGHLANDS CROSSING. Open floor plan with VAULTED CEILINGS, CERAMIC TILE and ENGINEERED HARDWOOD flooring throughout...NO CARPET! Kitchen boasts clean lines with all STAINLESS STEEL APPLIANCES, solid surface countertops, a REVERSE OSMOSIS WATER FILTER system for your kitchen sink, BREAKFAST BAR, and SEPARATE DINING AREA. Nice architectural features and BLINDS throughout. New LIGHT FIXTURES and CEILING FANS in bedrooms and family room. Inside LAUNDRY ROOM (washer/dryer do NOT convey), gorgeous WOOD-BURNING FIREPLACE in the family room, BRAND NEW (Sept. 2018) architectural shingle ROOF, and INGROUND SPRINKLER SYSTEM. The rear sliding glass door leads out to a tile floored SCREENED LANAI and fabulous COVERED WOOD DECK over-looking the beautifully landscaped & completely FENCED BACKYARD with STORAGE SHED. Have a boat or RV? There is a hidden PARKING PAD with a rear entry gate behind the backyard fence to store your RV or BOAT! This home is located in a USDA area and is eligible for 100% financing. Don't miss this one...it's sure to sell fast! Pet Restrictions: PLEASE REFER TO CC&R FOR ANY PET RESTRICTIONS. Copyright © 2019 Mid Florida MLS. All rights reserved. The data relating to real estate for sale on this web site comes in part from the Internet Data Exchange Program of Mid Florida MLS. Information provided is for consumer's personal, non-commercial use and may not be used for any purpose other than to identify prospective properties consumers may be interested in purchasing. Viewpoint Value Realty participates in the MFRMLS Internet Data Exchange (IDX) program, allowing display of other MFRMLS broker's listings on this site. However may not include all listings currently available. Information is deemed reliable but not guaranteed. Information last updated at 2019-04-23 22:07:39.